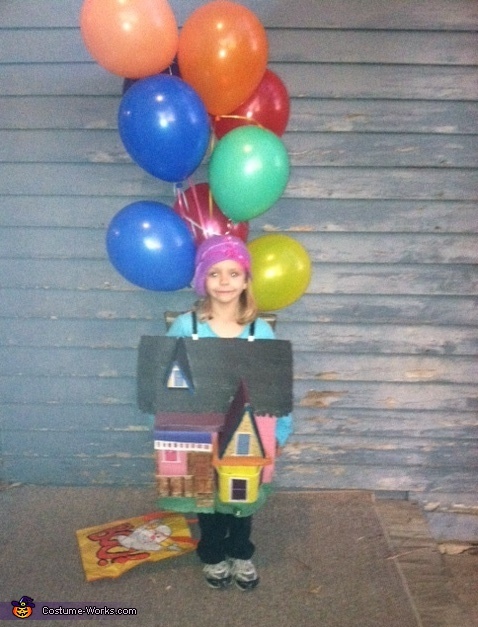 My daughter was recently watching the movie "UP" and she said that she wanted to be the house for Halloween. I thought she was crazy at first, but then I thought I could do it!! So with some hot glue, consrtuction paper and some popsicle sticks I transformed and ordinary box into a house. We added a couple helium filled balloons and PRESTO!